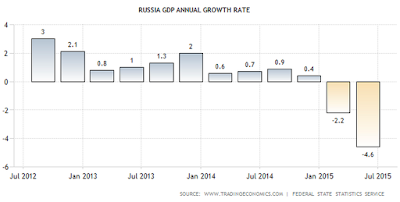 With apologies for a slight delay (I am actually away from work these weeks), here is a quick update on Russian 2Q 2015 GDP figures. 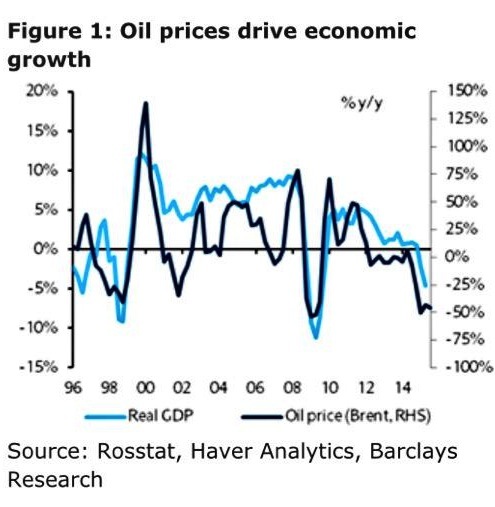 Those who read my musings on the Russian economy would recall that in recent months we have been seeing some signs of stabilisation in the economy performance, albeit I have been reluctant to call these signs a full turnaround as data required robustness confirmation and broadening of any improvements. Good thing I stayed more cautious on the matter of calling a recovery. 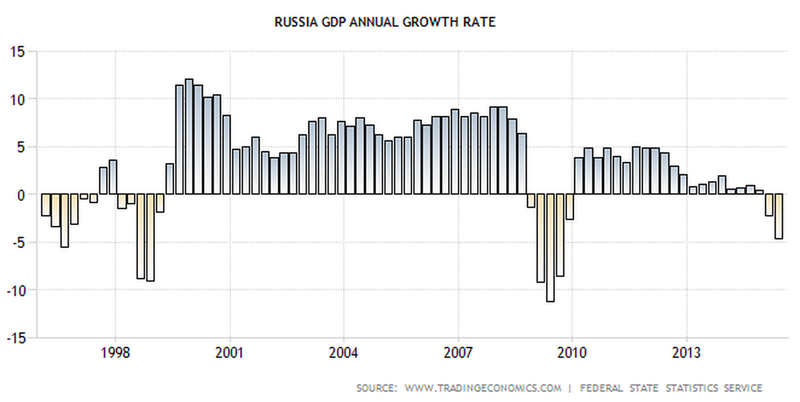 In 1Q 2015, Russian economy shrunk 2.2% y/y, surprising on the positive side the consensus expectation of a 3.7% drop. However, this time around, 2Q 2015 preliminary estimate for real GDP growth came in at 4.6%, worse than consensus forecast for 4.5%. 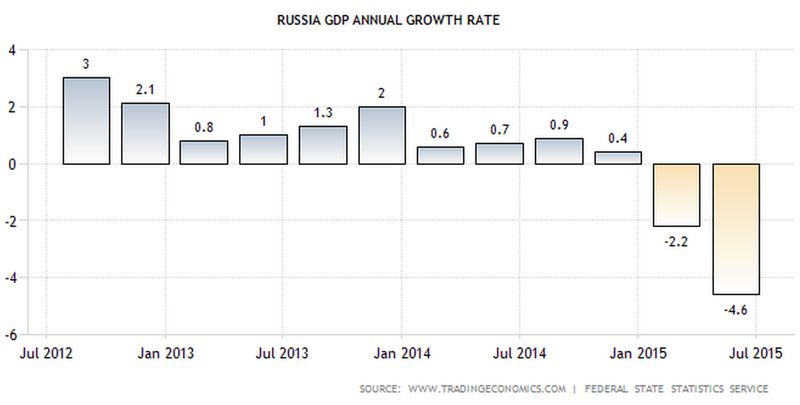 Now, 0.1 percentage points on expectation is not quite ugly, but -4.6% is ugly. 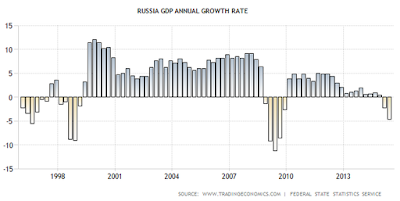 Thus, in itself, the 2Q 2015 figure does not quite put under sever pressure the expected 3.4-3.6% annual contraction for 2015 as a whole, but it does put question marks around the thesis of Russian economy's recovery. 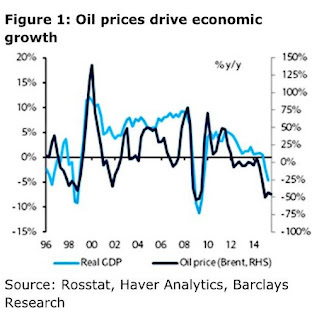 The contraction in 2Q takes us into July-August when oil prices have fallen even further and ruble devaluation pressures returned - both making it hard for the CBR to cut rates to support economy. 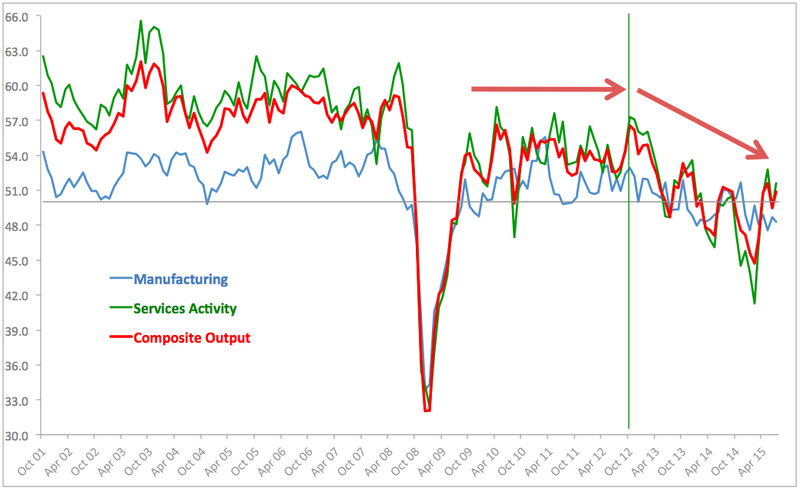 Noticeably, acceleration in the decline can be seen in q/q seasonally-adjusted figures. These are yet to be released, but Capital Economics shows estimates of 2.5% q/q decline in real GDP on seasonally adjusted basis, nearly double the rate of contraction (1.3% q/q) recorded in 1Q 2015. 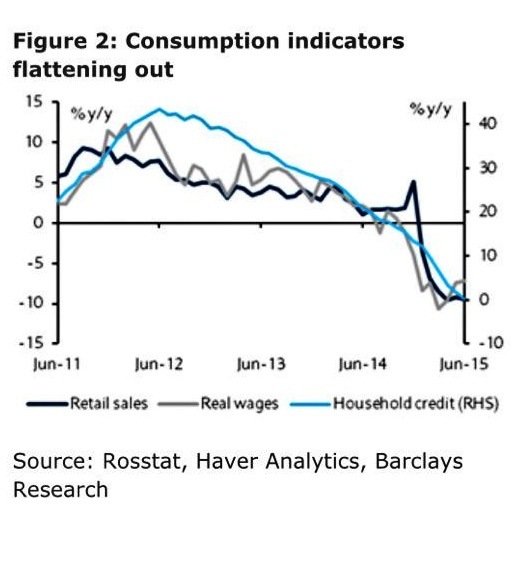 Although in terms of pressures on growth, consumption component of the Domestic demand remains weak. The CBR policy rates are clearly weighing on the consumption and investment ability to rebound, with high policy rate (11%) compounding already tight funding markets for the banks, resulting in very high cost of credit. We have no details on the GDP figure breakdown, yet, but Capital Economics suggested that based on 2Q headline figure, household expenditure fell at a rate similar to 1Q 2015 (-8.9%). 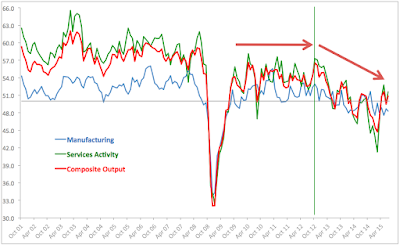 Which implies that it was industrial production that drove growth figures further down in 2Q 2015. So what's the top level conclusion from all of this? 2Q was ugly. Signs of stabilisation in the economy are still present, but robustness of these signals is now more under question than a week ago. In simple terms, we will need to see Q3 data posting closer to 0% change in GDP and beating 1Q 2015 reading, if we are to confirm expectation for growth recovery in 4Q 2015 - 1Q 2016.